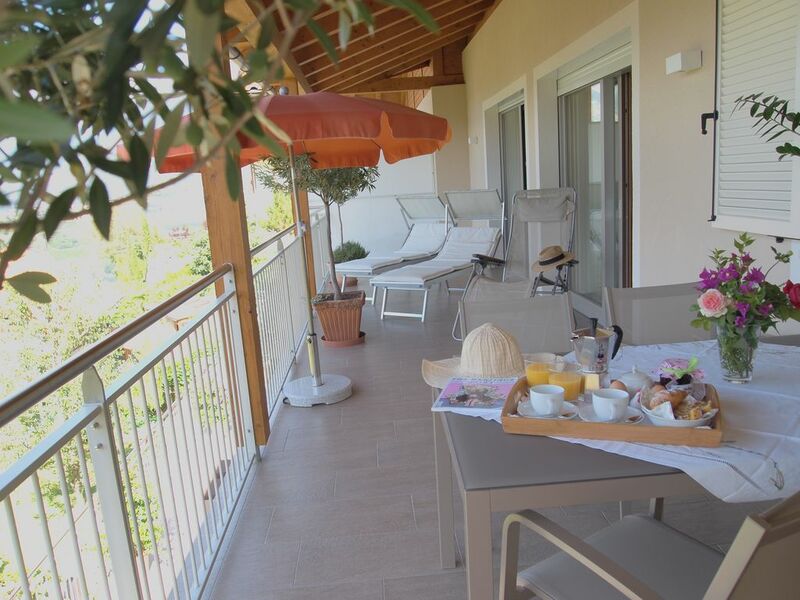 Guests stay in a modern spacious apartment on a beautiful terrace hill. The soothing tranquility and the magnificent view of the Meranerland with its unique mountain scenery. The farm is an ideal starting point for hikes and excursions in the mountains. In the immediate vicinity is the footpath "Mitterplatt" which leads to the village center of Schenna (15 min.) And to the center of Merano (40 min.). The bus stop to Merano and the surrounding cable cars is 200 meters away. The farm is nestled in a panoramic hillside location. The apartment is oriented to the southwest side. The view goes towards Meran / Bolzano, but also to Val Venosta. Within walking distance you reach the lively spa town of Merano in about 20 minutes to the village center of Schenna is about 10 minutes. The next bus connection is in the immediate vicinity. There are local buses to the various lifts.